When planning work on a hard to reach site, trackway can prove to be incredibly helpful. However, when looking to hire temporary roads, how can you know that you’re choosing the right company? 1. Do they conduct site surveys? Every site is different – from how even/uneven the ground is, to the sheer amount of space you have. This means that one of the first things you should look out for when speaking with a trackway hire company is if they offer to conduct a survey of your site. Having an expert visit your site and walk the distance that you will be laying temporary roadways won’t just help them get an idea of how many panels you require (and enable them to give you an accurate estimate). They will also be able to identify any potential issues with a particular route (e.g. overheard lines, trees, fences, awkward angles) that you may overlook. 2. Do they give you a dedicated point of contact? Whether you’re looking for further information into your hire, you need to discuss your quote, or the timeline of your job changes, having one dedicated point of contact can make things significantly easier. If one of your other suppliers is going to be arriving ahead of schedule, you’ll need to be able to get in touch with your trackway provider as soon as possible – you don’t want a delivery of equipment to show up to a site that has no roadways! 3. How long can your hire last? If you’re going to be working on a particular site for an extended period of time, it’s likely that you’ll require roadways for the whole time that you’re there. 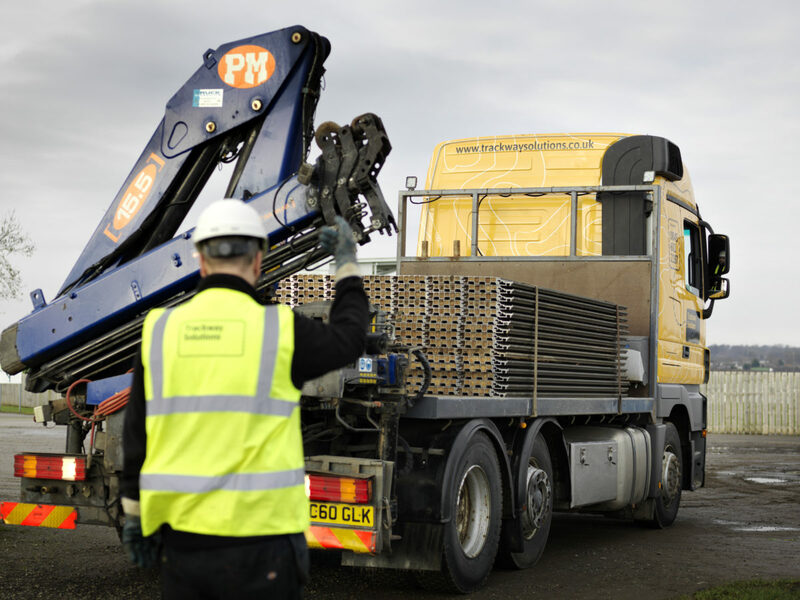 While it’s unlikely that a trackway company will deny you to hire panels for as long as you need to, it’s important that you check if they have a maximum length of hire. On top of this, if you think that the estimated length of hire may change once work has begun, you should check that your provider will allow you to make changes to your hire later on. 4. What vehicles do they have? If you’re hiring trackway panels, chances are, it’s because you need to access a hard to reach location. In order for the roadways to be laid efficiently, it’s vital that the company you choose has vehicles appropriate for the ground they’re going to be working on. Of course, not every site is going to be completely inaccessible unless you use a Unimog, but knowing that your provider has their own fleet of vehicles that can be used on a wide variety of terrains and ground conditions will put your mind at ease. 5. Do they have experience working with a range of industries? When choosing your trackway provider, you may also want to consider the industries and sectors that they have experience working with. While this might not always be of the utmost importance, you’ll need to work with a company that acknowledges that different jobs will have different requirements – access to a construction site will have much different requirements to a conservation or archaeology site, for example. Working with a company that already understands any specific needs that you may have (or working with people who are willing to learn about your requirements) can help you rest easy with the knowledge that your temporary roads will be installed efficiently and in the way that you need them to be. Are you looking for a trackway provider? Whether you’re planning an outdoor event, or a job in a remote location, it’s vital that you find the right people to work alongside. If you want to learn more about how we can help you, give us a call, and a member of our team will be happy to talk to you.